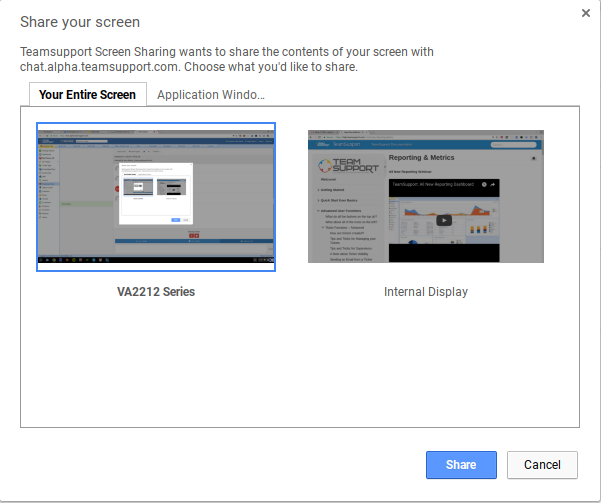 TeamSupport’s Customer Chat has integrated screen, audio, and video sharing. This lets you effortlessly switch to a more interactive session should the need arise. Sometimes communicating with your customers is better to do over voice, rather than over text. In these cases, you, or your customer, can simply invite the other to speak over audio. This does not require anything to be downloaded on either the client or the agent side. Along with the stop and mute buttons, the chat window will contain a sound meter gauge to indicate when the other person is talking. 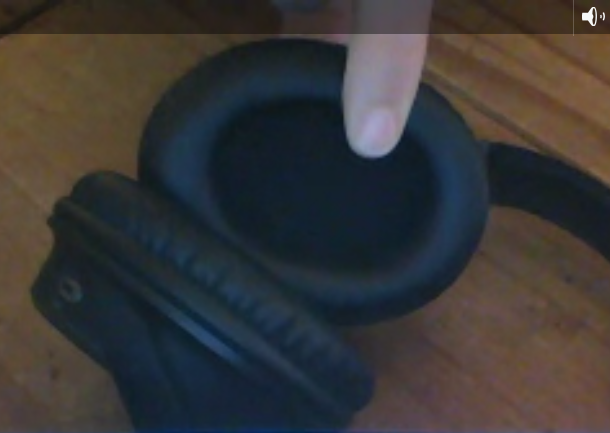 Either party can simply press the stop button to end the audio session. One step beyond audio is communicating over video. This is accomplished via a webcam from the agent and client computers. Sharing video would give you a great opportunity to have “face to face” communication with your customers. Also, if you have a physical product that you sell which the customer would benefit from showing your agents, this can be done via this video feature. This window contains a mute button. Either party can simply close their window to end the video session. In addition to audio and video share, another useful tool is to have the ability to share your screen with between agent and customer. For companies whose primary business relies on a computer, this is an invaluable tool. 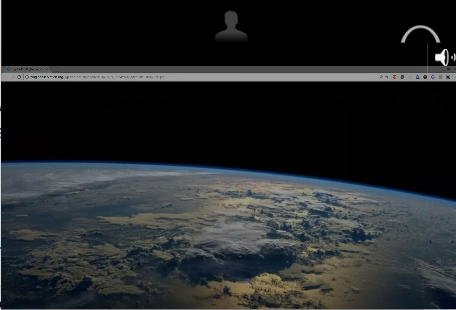 Customers and agents will be able to initiate a screen share session which by default also includes voice. At any point during the chat if it becomes apparent that a screen share would be useful in order to troubleshoot, it can be initiated by either customer or agent. This window contains a mute button. 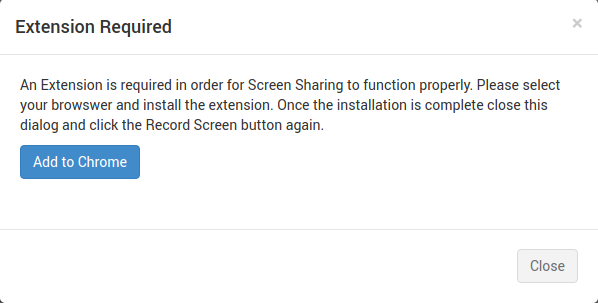 Either party can simply close their window to end the screen share session.